Ali Nurullah Hasan, "The Terrible Turk"
​​Ali Nurullah Hasan was born in 1870, like the other Terrible Turk's, Hasan got his career started as an Oil Wrestler back in Turkey. He is remembered as another legendary competitor in the annual 653 year old tournament (As of 2014) called Kirkpinar. Whilst competing in Turkey he received the name Filiz Nurullah or sometimes Haci Filiz. It's said these names came from his "unnatural" height. 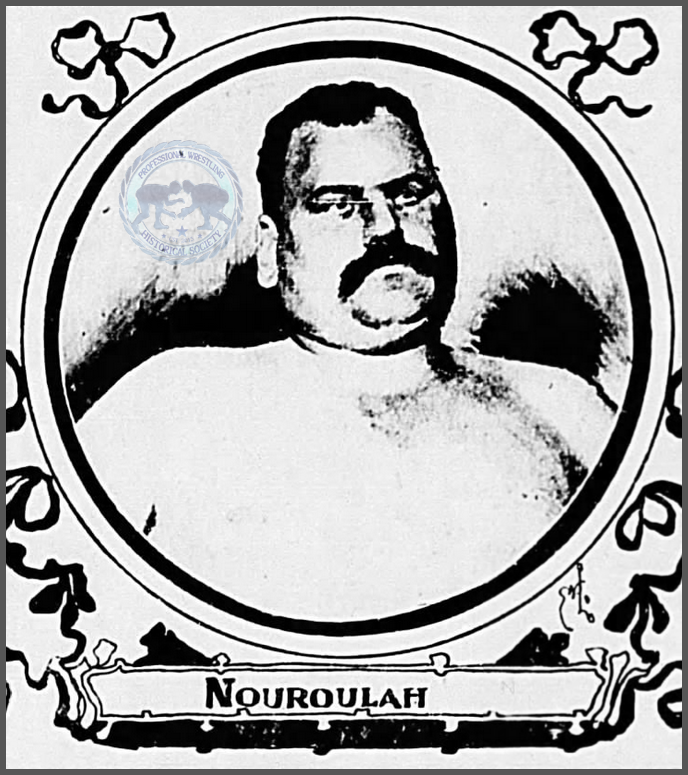 In professional wrestling he is better known as The Terrible Turk Nurullah (You'll see spelling of the 'Nurullah' regularly vary). As per other's before him it was Europe where he first made a name for himself; even winning a 'Gold Belt Tournament' in Paris, France sometime between 1894 and 1898. His career in America was rather short though and it's quite probably because of the way one of his matches went down. When his big bout with Ernst Roeber on May 24, 1901 was met with screams of hippodrome following Roeber being awarded the match when he (as reported by papers) refused to stop sitting on Roeber's chest. Prior to this Nurullah had been highly spoken of in the newspapers. All wasn't lost though, Nurullah went back to the Ottoman Empire and carried on training and competing in Turkish Oil Wrestling as well as touring Europe. It's possible he returned later in 1903 also, although this appears to be another Terrible Turk just using a similar name as regularly happened. Often his 1906 appearances in the St. Petersburg tournament are recalled as being some of his finest. In 1911 Nurullah retired all together and passed away a year later in 1912. Biography of Ali Nurullah Hasan, "The Terrible Turk."